Greater social integration, enhanced mobility options and enriched reporting functionality are coming to users of the SYSPRO Enterprise Resource Planning (ERP) solution, K3 Syspro revealed at its annual customer conference. 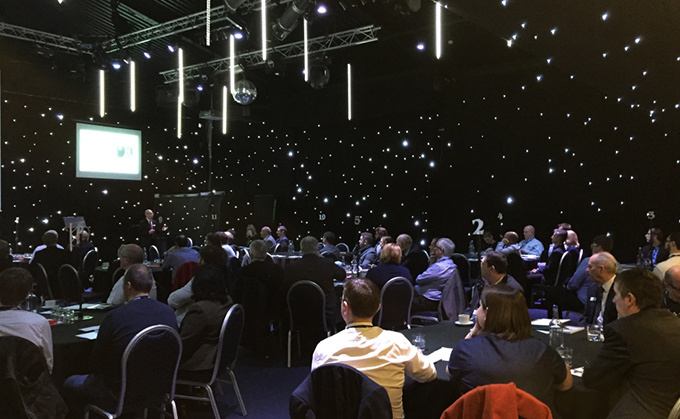 The event, entitled Art of the Possible, encouraged existing UK users of SYSPRO ERP, and businesses interested in the application, to think innovatively about how they use their core business critical application, highlighting the important role that technology will play during Industry 4.0. And just as Microsoft revealed its focus on cloud and mobile at last year’s Partner Conference, SYSPRO is following a similar theme. The application, which is currently on version seven, will unveil even greater cloud and mobile functionality in future versions, with renewed business intelligence options and the latest HTML5 technology, resulting in an intelligent user interface that can adjust itself according to the needs of each individual user. Andy Latham, Chief Technology Officer at K3 Business Technology Group took delegates through the journey of technological transformation in the manufacturing industry, from the first concept of having a central database to today’s smart factory, which leverages the Internet of Things to deliver even smarter customer service. All of this technology progression, he said, was down to people thinking about the art of possible. Throughout the event, SYSPRO users shared their own experiences of how they are innovating their use of SYSPRO to imagine the art of the possible. Among the customer success stories, the integration capabilities of SYSPRO, the ease at which it can be power tailored, and the way it joins up everything within a complex supply chain were most talked about.